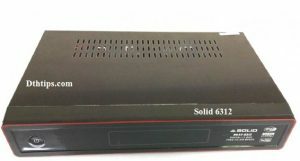 Good news –Solid 6312 HD Receiver Latest Autoroll Software :Friends, you will know that the software of Channels of Sony network of Asiasat 7 and Intelsat 20 from the Grind 10 Months is not available.Today I have brought good news for you that today you will be able to run all the channels of the Sony network free.Now the Solid satellite receiver’s new power software has arrived.If you have Solid 6312 Satellite Receiver, then you can download the software from here.With this software you will be able to see the asiasat 7 and the Sony Network Power VU of Intelsat 20. 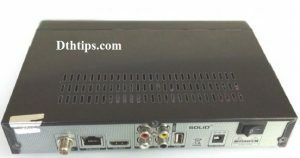 Note:Friends, after downloading these software, you will need to extract only if the software set-top box will be upgraded. 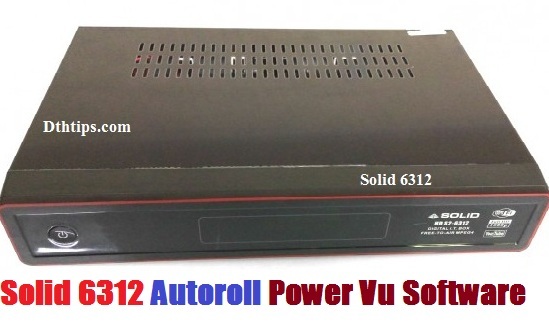 Friends, in this article, Solid 6312 satellite receiver has given latest sony network power vu software.I will upload the latest Power vu software of the other set top box very soon.Friends If you like this post, please share it.If you have any questions related to Satellite receiver software, then do the comments to us.Please subscribe to our Facebook page for such interactive information of DTH, subscribe to our YouTube channels Dthtips. Thanks you.. In my solid 6303 I have upgraded welcome software, but Redtube xtream are not working. Secondly I have Beetel SD96 stb. 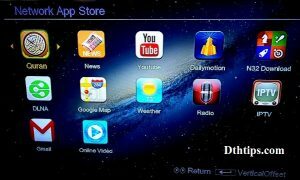 But I can not add to in stb can I upgrade it. Which software I have to upgrade? It has rs232 port reverse side.